Members of CUPE 2424, staff at Carleton University, were jubilant last night following ratification of a new contract with the university. After a four-week strike, the local got a deal that guarantees a defined benefit pension plan for workers and prevents the university’s board of governors from making changes to the pension unilaterally. Members, who include more than 850 administrative, technical, library, counsellors, and nursing staff at the university, voted overwhelmingly to approve a three-year deal that includes gains in wages and vacation. But the heart of the deal are the changes that safeguard the pension. The collective agreement now contains a clear provision to protect the defined benefit component of the plan. This means it is no longer possible for the board of governors, or its pension committee, to eliminate the defined benefit aspect of the plan. In fact, the new contract language prevents any unilateral changes by the board of governors, protects against “adverse” amendments and requires the employer give the union six months’ notice for any future plan amendments. The deal also adds one unique provision: a pension benefit formula in the collective agreement. 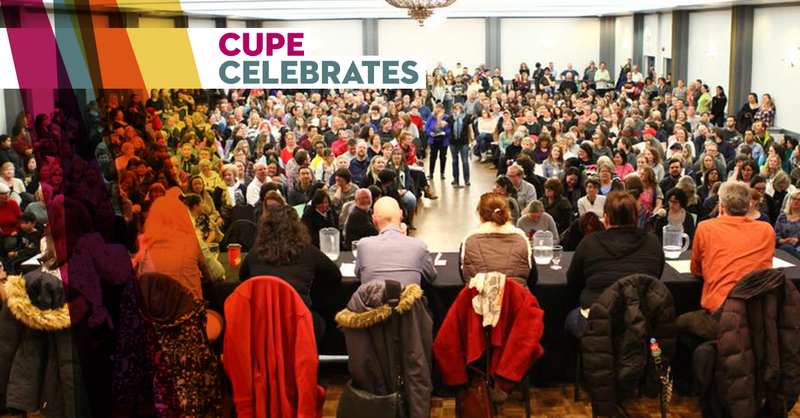 CUPE 2424’s win is a win for other workers who are fighting to protect their pensions. The strike put pension rights on the agenda for other unions who are currently in bargaining with the administration.